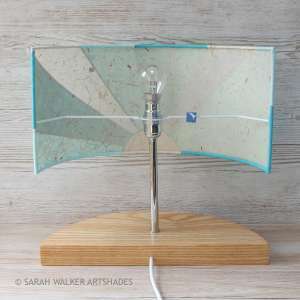 Made-to-order half shades are available in two sizes and can be purchased alone as a lampshade for your own table or wall light, complete with a handcrafted lampbase or with a lampholder and switched cable for use as a surface-mounted wall light. The bespoke lampbases are made in Worcestershire. 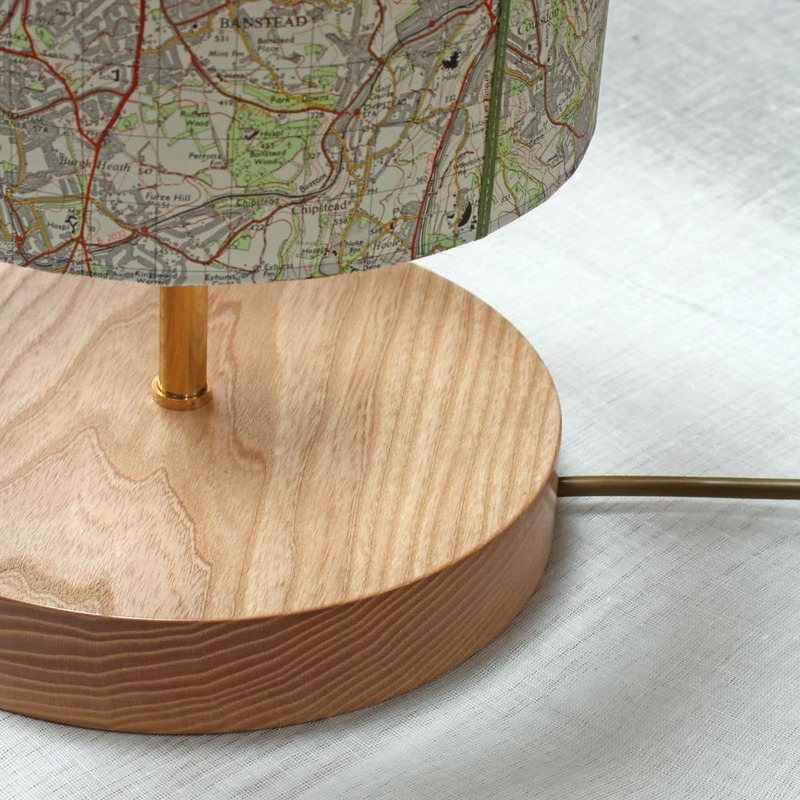 Each is made of solid wood with solid brass fittings (which are available with a chromed finish if preferred). 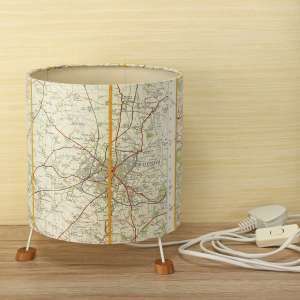 Each has a UK 3amp plug, 60W British-made lamp holder (bayonet fitting), and 170cm gold or white flex. 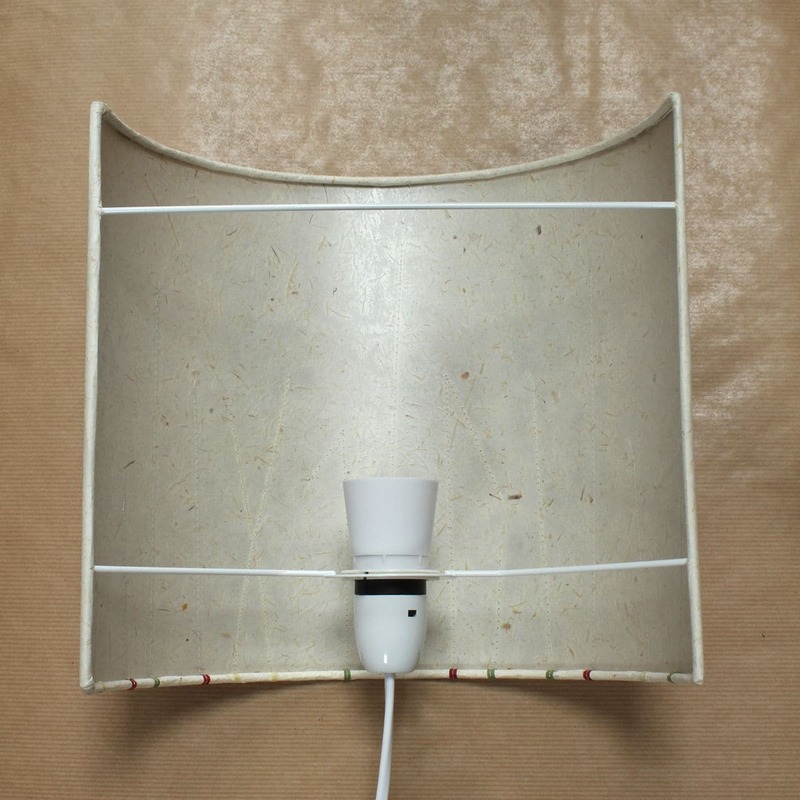 A 60W B22 lampholder with inline switch, 2m white cable and 3amp plug can be purchased with either half shade for a surface mounted wall light. 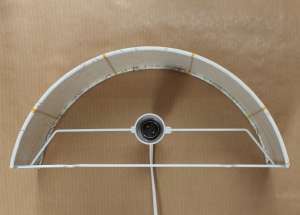 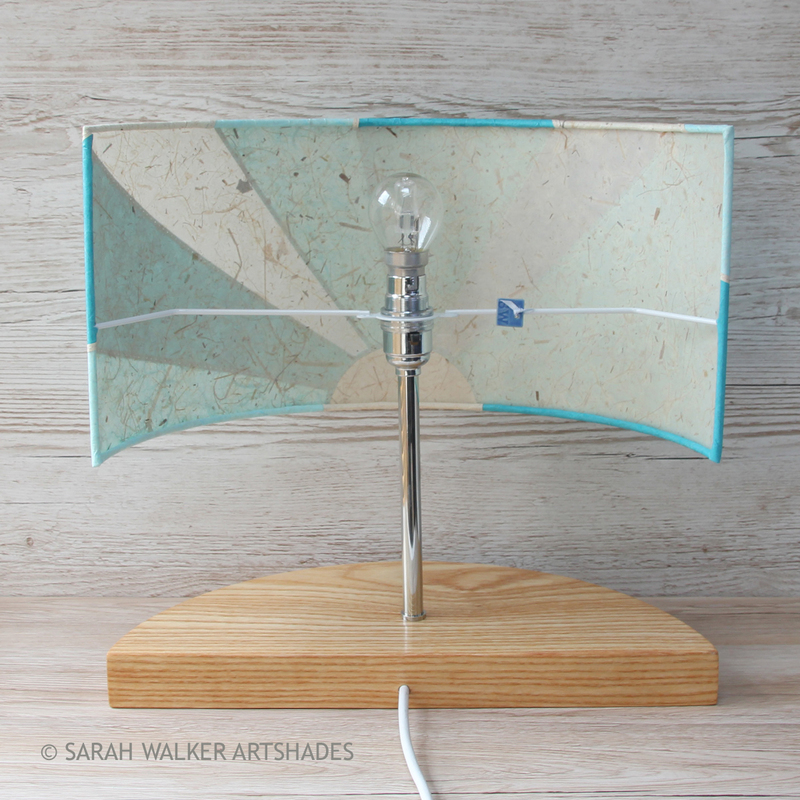 The centre of the lampholder to the back edge of the tall frame measures 6.5cm, and the wide frame 5cm. Made-to-order map drum shades are usually 20cm diameter and can be ordered alone for use with your own lampbase, complete with a handcrafted lampbase or on its own 3 integral feet (see below). 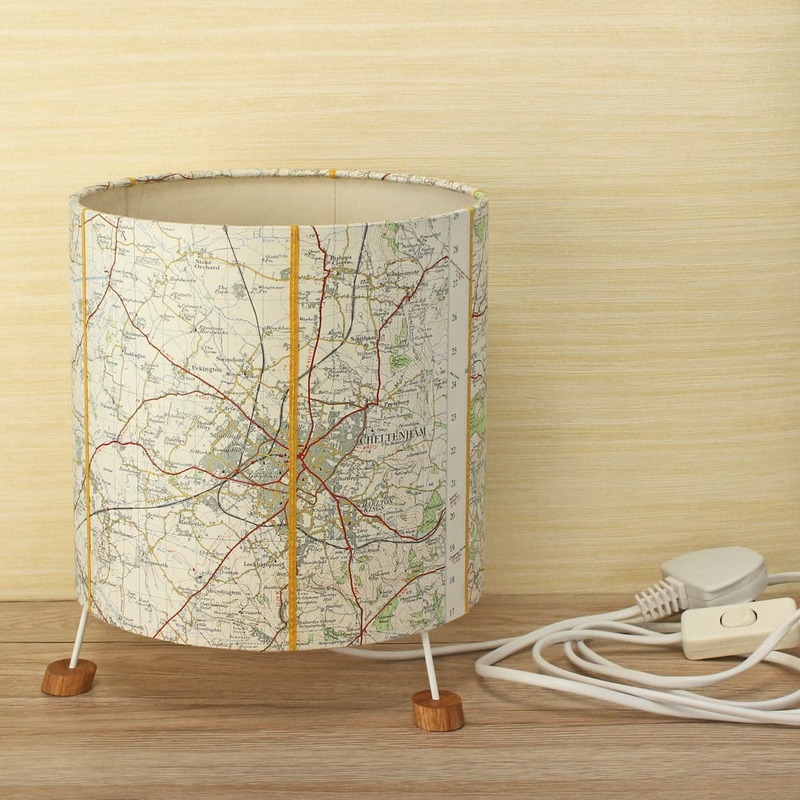 They use the full width of one reclaimed OS map and are £70. 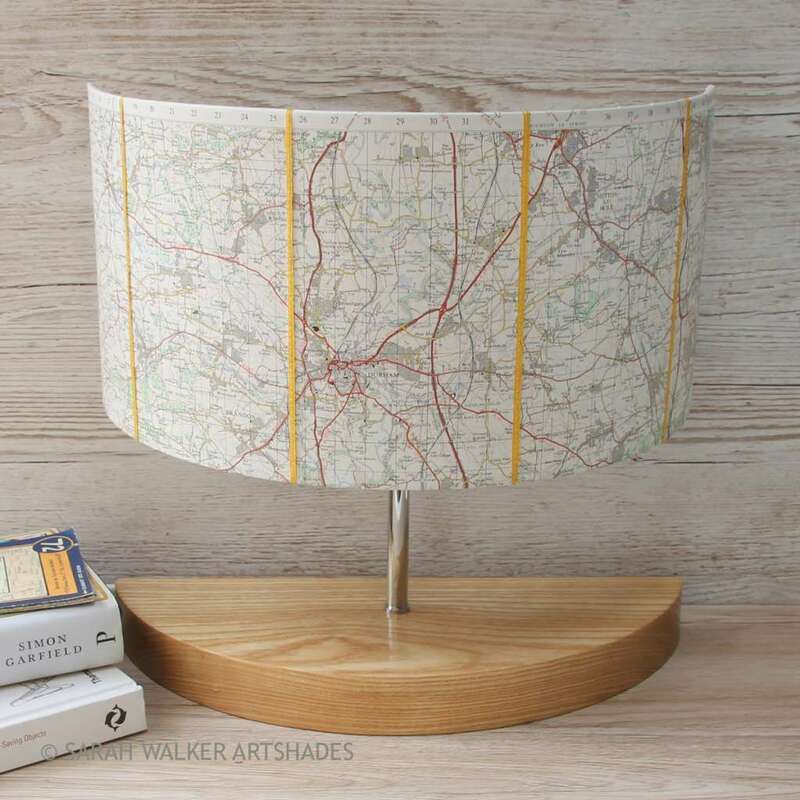 40cm diameter map shades, suitable for floor lamps and ceiling pendants, require at least two OS maps and are £145. Any height over 18cm will incorporate a horizontal crease where the map was folded. 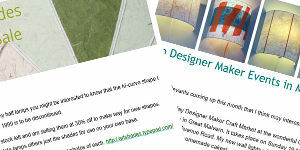 All vertical folds are hidden by coloured applique strips. 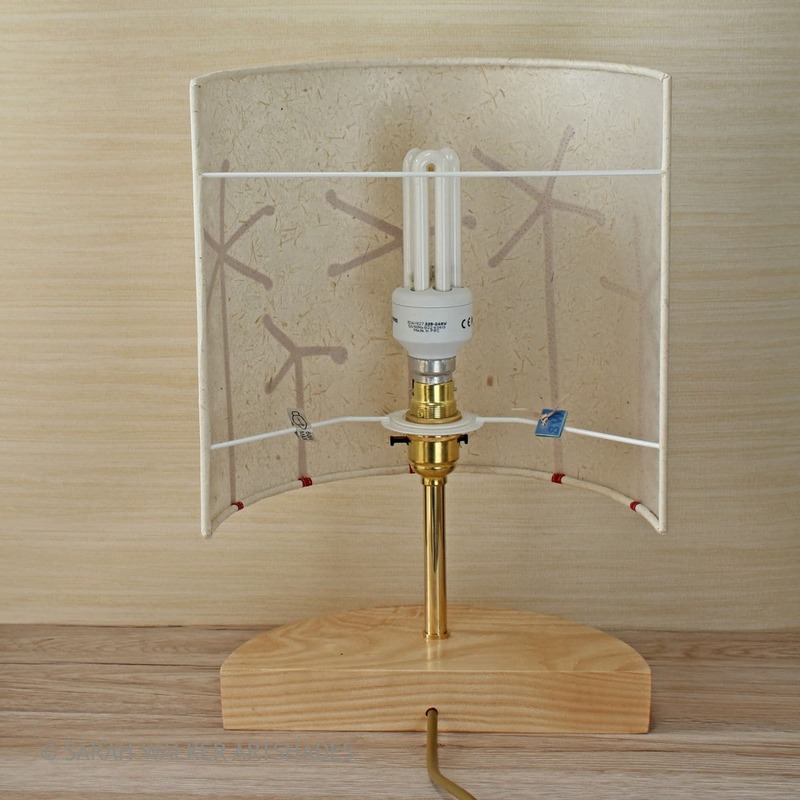 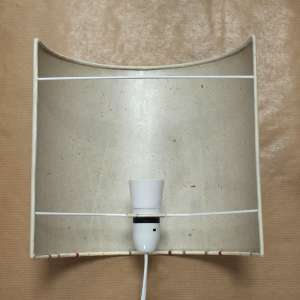 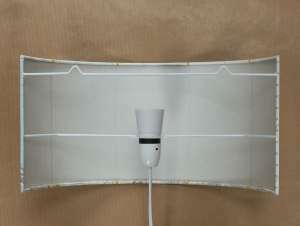 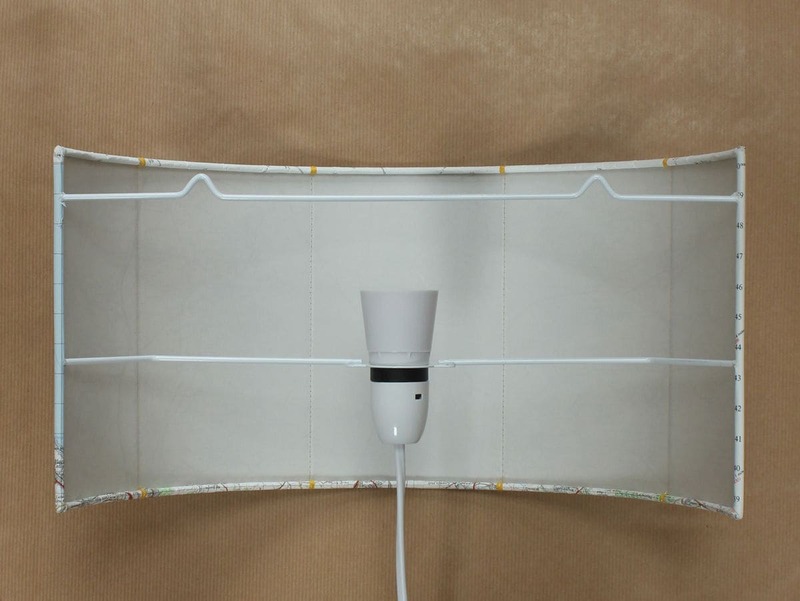 The made-to-order map shade on its own 3 feet has a 60W B22 lampholder with inline switch, 2m white cable and 3amp plug. 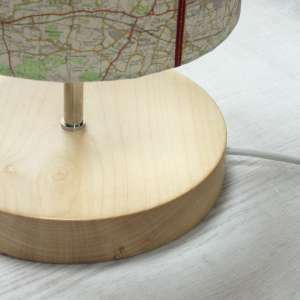 Overall it is 22cm in diameter while the height varies depending on the map used but is approximately 24cm. 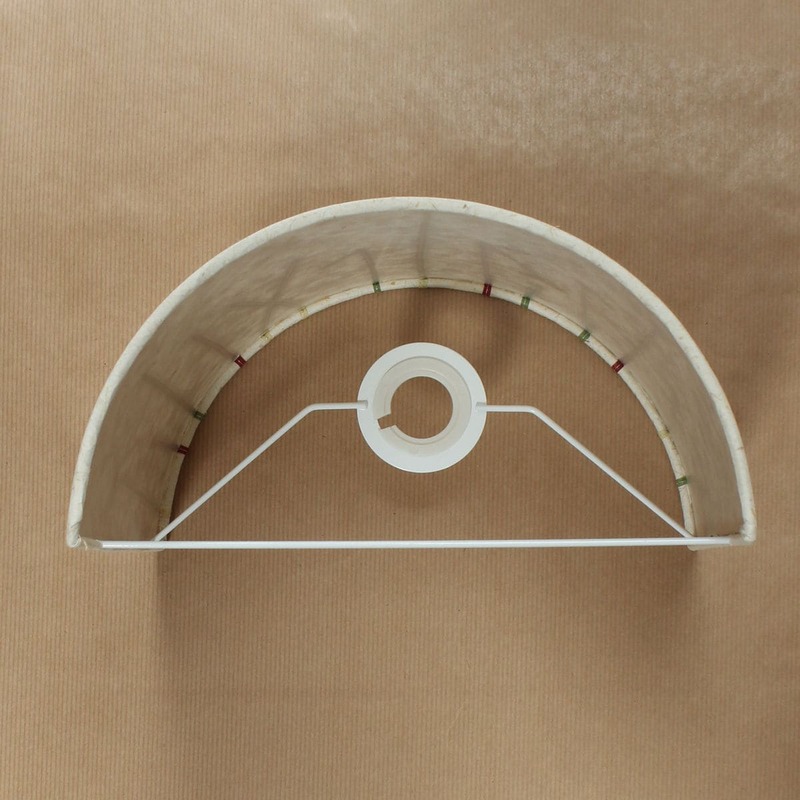 All sizes are approximate as each item is handmade. 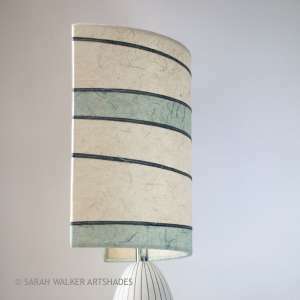 See the online Shop for lamps and lampshades in stock or email me if you’d like to discuss a commission.